Relationship building and networking is gold to any startup. The more businesses and consumers your organization knows, the more opportunities inevitably come your way. Alliances and strategic partnerships within the IoT marketplace can be highly effective ways to build better products and a stronger business. But what if your goal is to be noticed by another company in order to build a partnership or strategic alliance? Perhaps you already have that company in mind, and perhaps they are more established than your organization. Getting their attention may not be as difficult as you think. Reach out to your current network of contacts. Ask for an introduction from your current LinkedIn network. Don’t forget to ask your current customers or alliance partners for contacts. A simple, “Do you know 2 other companies I should talk to?” generates powerful leads. Don’t have anyone on the inside? It’s time to put your cold approach skills to work. Contact the company directly and ask for a short meeting. Oftentimes, the best way to go about this is to keep it simple. Make sure that the recipient knows that there’s no pressure or obligation, but at the same time make sure you give them great reasons to meet you. A good way to do this is to answer the question “what’s in it for them?” Always view the meeting from their perspective as you plan it. Finally, Alliance Management can provide you with a helping hand in establishing an effective strategic partnership. 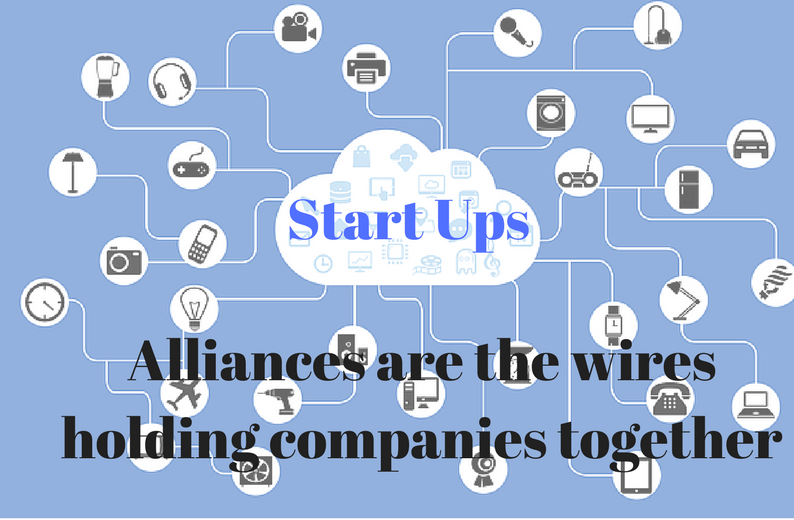 Using industry-leading techniques and the most up-to-date data available, we comb through a list of potential companies for your alliance and select the best on your behalf. If you’d like to learn more about how to build a powerful business partnership, please feel encouraged to contact us here. This entry was posted in Alliance, Collaboration, Internet of Things, Partnership, Strategic Alliances and tagged alliances, business alliances, collaboration, Internet of Things, IoT, strategic alliances by GeorgeTyler. Bookmark the permalink.